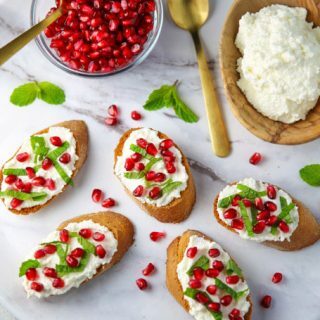 This Pomegranate Crostini with Ricotta and Mint will be your new favorite appetizer! 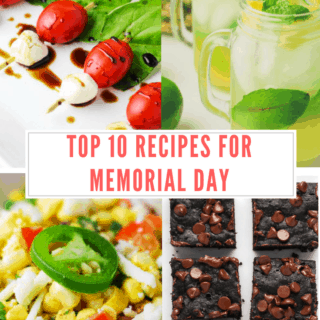 It’s super easy to make for any last minutes guests, and is sure to wow a crowd! 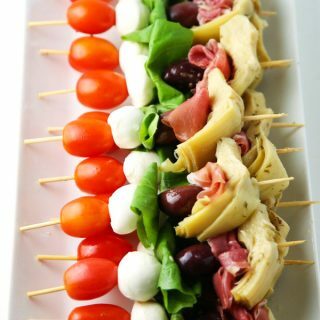 Need a last minute appetizer to throw together for your Holiday party? 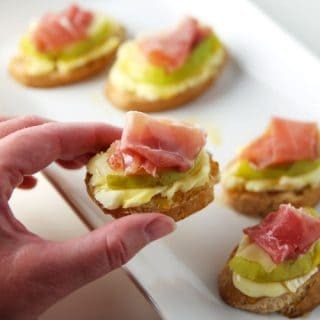 Try this Prosciutto Pear Brie and Honey Crostini! Getting ready to host a Spring or Summer party? 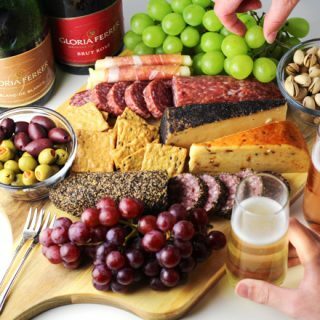 I’ve created a little step by step on how to make the Ultimate Charcuterie Board! This will seriously be a hit at your next party and it’s so easy to put together! 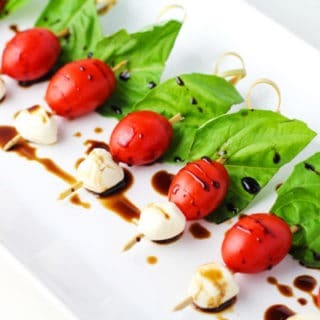 These Easy Caprese Salad Bites are the perfect appetizers to feed a crowd. Made with Fresh Basil, Grape Tomatoes, Mozzarella, and drizzled with a Balsamic Glaze. These little bites of heaven are perfect for your next summer outing or BBQ!